Rattle drum - Site de soundsofangkor ! 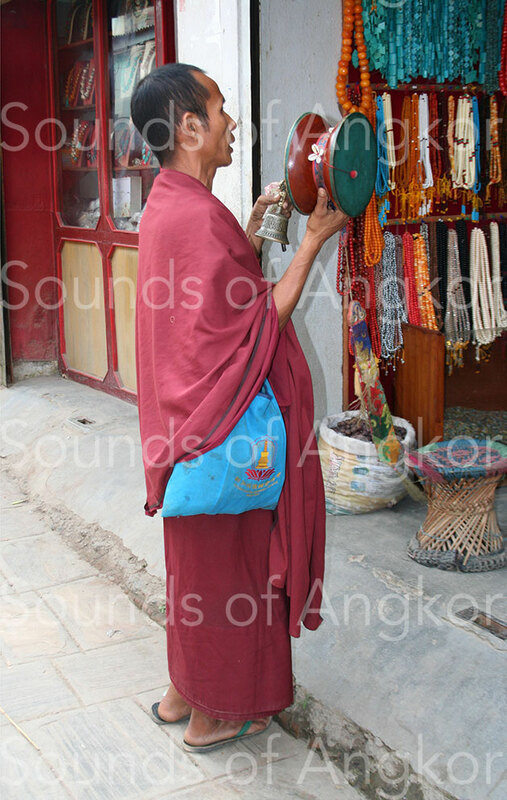 The rattle drum was an object used by religious officiants. Nowadays, it is still used by Tibetan Buddhist monks in the form of a wooden hourglass recalling the two cranial skins united by their summit, formerly in common use. In Nepal, Newar Buddhists and street vendors in the Kathmandu Valley still use them. No representation has been noticed in the Khmer iconography. Thanks to the epigraphy, we know with certainty two Sanskrit names of the rattle drum - ḍamarin or ḍamaru - but not its denomination in Old Khmer. 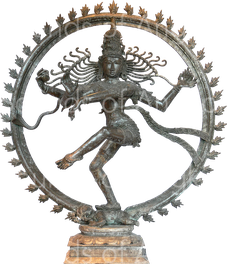 Attribute of the Hindu god Śiva, the rattle drum, also called whipping balls drum, appears in one of his hands when it is represented in its cosmic aspect Śiva-Naṭarāja or "King of the dance". 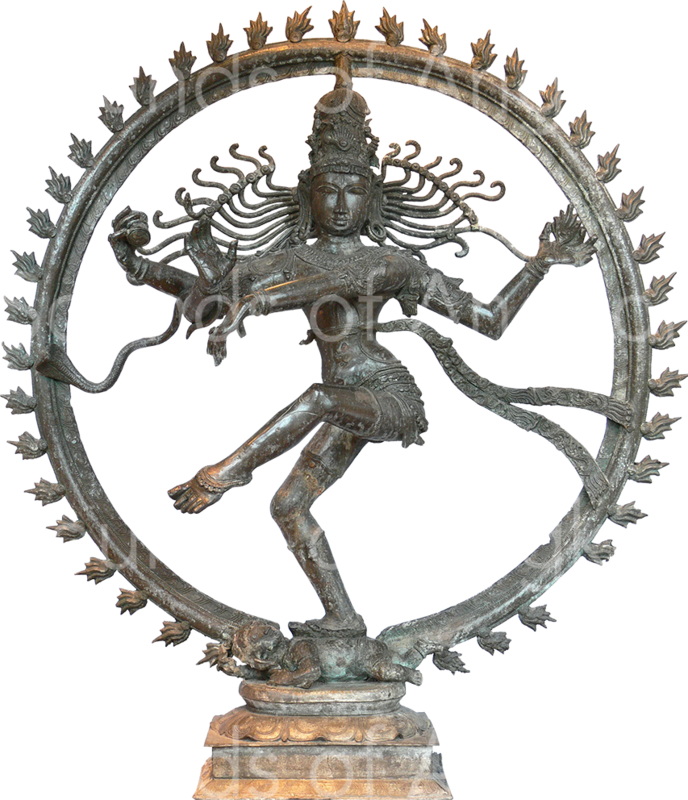 Śiva-Naṭarāja or "King of the dance", dancing in the posture of nadānta tāṇḍava after the submission of the heretical sages of the forest of Tāragam. Tropenmuseum, Amsterdam. Several bronze instruments have come down to us in complete or partial fashion. They now belong to private institutions or collections. Their physiognomy differs from the hourglass drum of Śiva- Naṭarāja. These are drums with handle. The decor is truly Khmer. The one of the Musée Guimet is surmounted by a large, cross-legged male figure surrounded by four smaller female figures holding a lotus flower in their buds. The exterior of the resonance box is ornamented with four rows of denticles. The two circular peripheries comprise a series of small holes allowing the fixing of the membranes. Two lateral rings received the small cords connected to the whipping balls. A fragmented bronze drum-rattle belongs to the archaeological collection of Vat Bo in Siem Reap. Only the framework remains. A hole on which a handle was fixed. All the other functional elements previously described are present. Bronze rattle drum. Its provenance and authenticity is not proven. Bronze rattle drum discovered in the Banteay Chhmar area. Wat Bo coll., Siem Reap. Ref. 2007- 1-2129. Hourglass-shaped rattle drum discovered in the Banteay Chhmar area. Wat Bo Coll., Siem Reap. Ref. 2007-1- 2130 + 2132.